Banana bread is subtly sweet, decadent, and filling—and now you can get all that goodness in our banana protein bars! Help yourself to a 12-pack of all-natural bars, but rest assured that a dozen won't be enough. Our protein bars get their sweetness from the bananas and vanilla, not refined sugar. We take a delectably smooth sunflower seed butter base, add bananas, vanilla and a touch of spice for good measure. Tasting exactly as its name describes, it's banana bread, without the junk. Trade out your old protein bars. 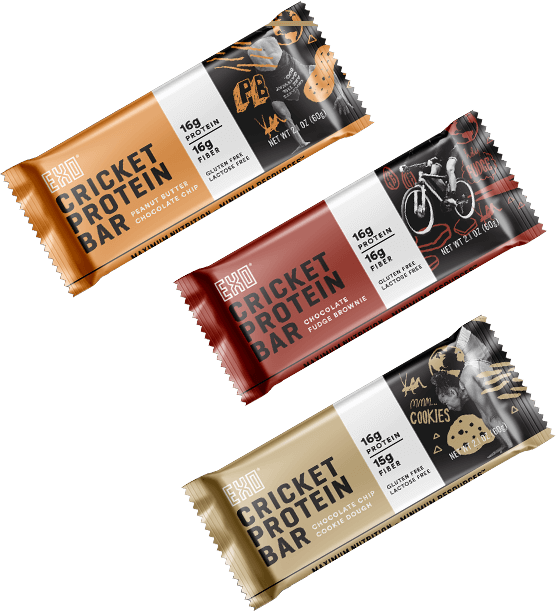 Let crickets be your new source. Taste the difference in Exo Protein's banana protein bars and great snacks today and enjoy free shipping on all orders over $45!